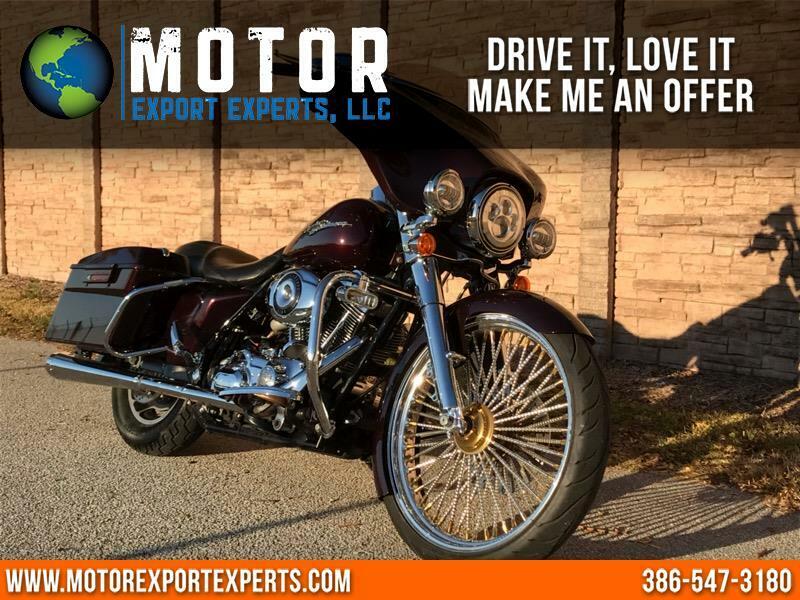 Thank you for considering this sleek 2007 Harley Davidson STREET GLIDE FLHX. Super clean bike, black cherry in color. Ridden only 2,900 miles per season for a total of 35,000 miles. Powerful 96 cubic inch engine and 6 speed transmission. Comes with a 90 day nation wide warranty included in the advertised price. Equipped with the following extras: Custom 23 inch front wheel, true dual exhaust system, high flow kit, big bore engine kit, 14 inch custom handle bar, cruise control, custom avon grips, chrome hand controls, air horn, chrome transmission cover, chrome primary cover, led headlights, custom radio with upgraded speakers.